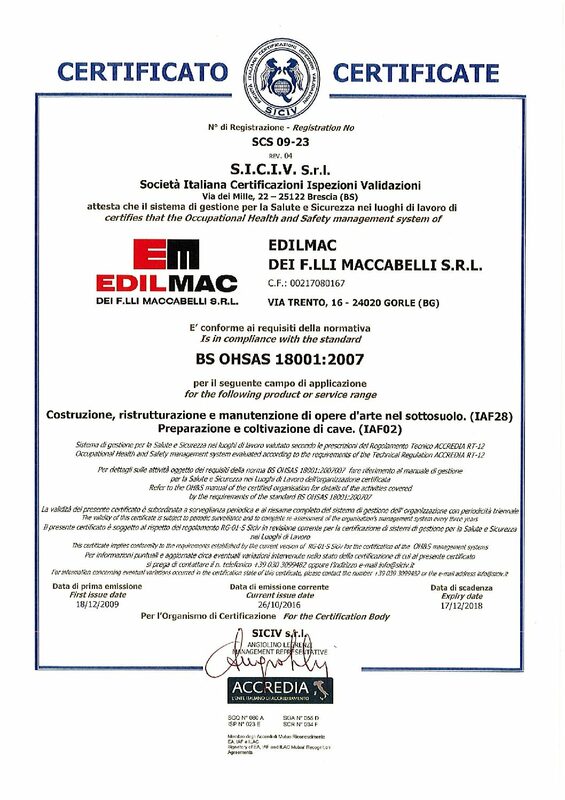 Total Quality is an organizational model adopted by all the world leading companies and is an important step for the integrated management of quality, environment and safety as a strategic factor. 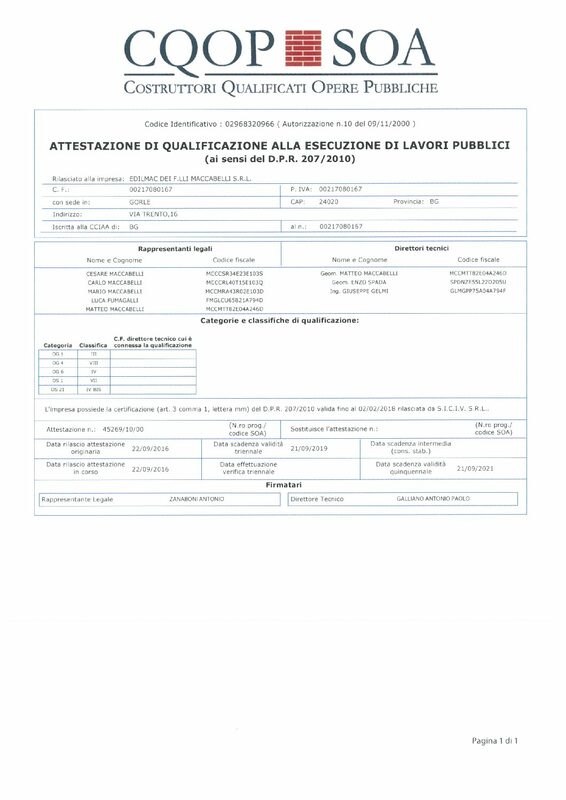 Today a company builds a competitive advantage through a comprehensive and coherent approach involving all business functions; a strategy based on quality, safety and environment is aimed at the satisfaction of all stakeholders (employees, customers, suppliers , labour unions, management). 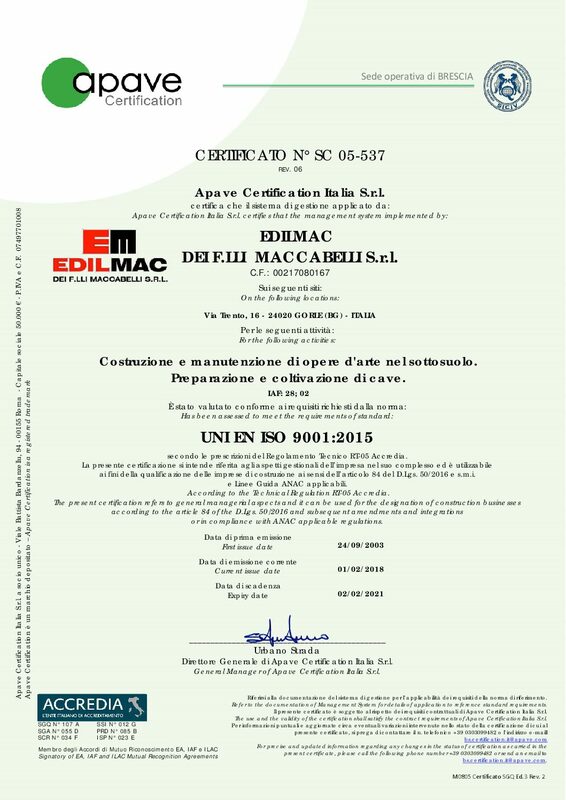 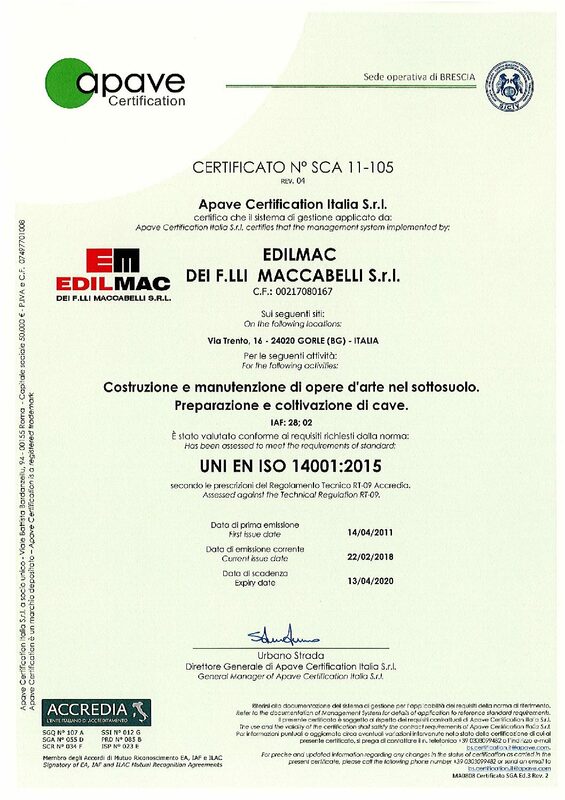 With the aim of optimizing and rationalizing its management and constantly controlling the adequacy of human and economic resources, Edilmac has successfully achieved the following certifications which are all part of an Integrated Management System.